LPN/ LVN (licensed practical nurses/ licensed vocational nurses) are the nurses who care for the people who are sick, disabled or injured. Both the terms (LPN and LVN) are used for the same professionals; minor differences are found in the duties and job description of both(depending upon the state they are serving in). They work under the supervision of registered nurses or physicians. According to the Bureau of Labor Statistics (BLS), the job opportunities for licensed practical/vocational nurses are supposed to grow by 16% between the years 2014-24. They have a wide area of responsibilities which range from setting up oxygen suppliers, catheters and other types of equipment to taking vital signs such as blood pressure, weight, blood samples, etc. With the increasing graph of sickness and extreme shortage of nurses across the country, there is a need to increase the number of nurses by cutting short the program prescribed for LPNs or LVNs. Traditional programs and courses require a vigorous program which includes both classroom study and supervised clinical practice which lasts for at least 12 months. Keeping the duration and shortage of staff in mind, accelerated LPN/LVN programs have been started so that the aspirants can get the certificate early and start working as soon as possible. If you are a CNA or if you have completed some transferable college programs/ credits, you can apply for a fast-track or accelerated licensed practical nurse/ licensed vocational nurse course. The focus of the course will be on the skills necessary to perform the duties of a practical nurse. An applicant will learn to work in a variety of care settings including the emergency care. However, if you do not have any nursing background, still you can apply for the fast-track LPN/LVN course. You will have to fulfill the following requirements. In order to qualify for the program and examination, you must have completed 18 years of age before you apply for the course. As a proof, you may have to submit the birth certificate. The minimum education requirement for pursuing LPN is that you must be a high school graduate or have an associate degree. This is to ensure that you have the general knowledge of the subjects required for the course. You must have a good command over the English language. Foreign applicants may need to take the TOEFL or IELTS test. An applicant is supposed to have a clean background, and there must not be any criminal cases or cases of abuse against the nursing department or any other department. An aspirant must have the knowledge of the subjects like chemistry, biology, algebra, statistics and general science. These type of accelerated programs are also known as fast-track LPN programs. The 12-month course is condensed into a six-month course. The courses are conducted in such a manner that they prepare the students with skills and theory required to be a licensed nurse in acute care, extended care, and intermediate care environments. The theory of the program is combined with patient care learning experiences in hospitals, health care agencies, nursing homes, etc. The teaching techniques used for the course include lecture, role play, online case studies, and simulation. Technology is widely used for these types of fast-track programs, and it would be beneficial for the students if they have personal computers and laptops besides working on the common computers in the school they have opted. The general coursework of these fast-track programs is the same as the full-length/normal LPN programs. They are mainly focused on the skills necessary to perform the duties of a practical nurse. The classes start with the basics of nursing and its fundamental. In the later classes, the topics that are covered are anatomy and physiology, medical-surgical nursing, pharmacology, psychology, and biology. The clinical or practical section is conducted in healthcare facilities such as clinics, hospitals, nursing homes, etc., under the supervision of a physician. These programs may require some education credits as a pre-requisite for the programs. Demonstrate the use of appropriate technology for patient’s care and documentation. Carry out technical aspects of nursing. Follow legal and ethical standards of practical nursing. Use of therapeutic communication skills and techniques while providing nursing care to the patients, throughout the lifespan. Provide support for data gathering and assist the plan of care. Function efficiently and effectively as a PN under the guidance, supervision, and direction of an RN. Implement a proper care plan using required practical nursing knowledge. Provide assistance in evaluating the nursing care based on the outcome criteria. Illustrate critical thinking skills and evidence-based practice while providing the nursing care. Provide assistance to patients in daily routine such as bathing, clothing, etc. Provide medications and start IV drips. Update the records of patient’s condition. Assist the senior doctors and nurses with several tests and procedures. Feed and look after infants and children. Assemble, clean, and maintain the medical equipment. Update the doctors on patient’s status. It is not easy to work as an LPN, and you must be willing to work in different shifts and schedules including night shifts, swing shifts, weekends, and even holidays as some healthcare facilities require 24-hours care of the patients. In some facilities, there may be the possibility of hazards and back problems as the job responsibilities include carrying the patients, moving heavy pieces of equipment, diseases like hepatitis and infections due to chemicals. These short duration programs are no doubt excellent but, these are only helpful if you hold a bachelor’s degree in the field of nursing as the classes go on for a long duration without a break in the sessions and are highly intense. Also, some of the institutes provide the certificate of completion of the course which is not a degree or a diploma. 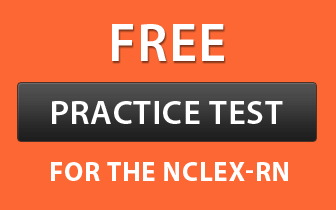 The rate of passing the exam of NCLEX-PN is also low, and you must cross check it with the institute or school you are enrolling in. Once you have become a licensed practical/ vocational nurse, there are numerous fields where you can pursue higher studies and LPN serves as a stepping stone for these options. The credits from LPN are transferable and are transferred to these courses to cut short the duration of the program. This program is for the aspirants who wish to obtain an RN license after their LPN certificate. The duration of the course is about an additional year longer to complete an associate’s degree after which the candidate needs to qualify the NCLEX-RN exam to get the RN licensure. If you aspire to obtain a bachelor’s degree in nursing, this program is made for you. The duration of the course is usually 2 to 3 years after which you will be awarded a BSN degree in nursing. You can then choose a specialized area of nursing such as critical care nursing, trauma nursing, and pediatrics and can be entitled to better salary and extensive job opportunities.